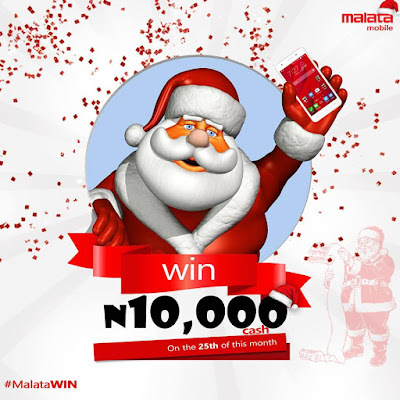 Win NGN 10,000 cash from Malata! 1.Like our Facebook page if you haven’t yet. 2.Like and Comment with how you intend to celebrate your Christmas. Make sure to tag as many of your friends as possible. 3.Share the post as often as you can. Winner will be announced on Christmas day and will get NGN10,000! Let The Game Begin!! #MalataWIN #BeHappyWithMalata !